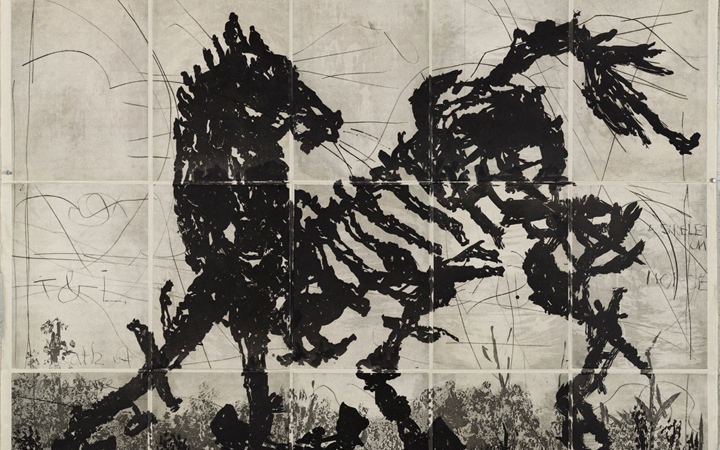 William Kentridge is one of the world’s best-loved and most influential artists. Annandale Galleries are delighted to be exhibiting nearly forty new works in a variety of graphic media. Kentridge is recognised as one of the most innovative makers of original graphics over the last two decades.